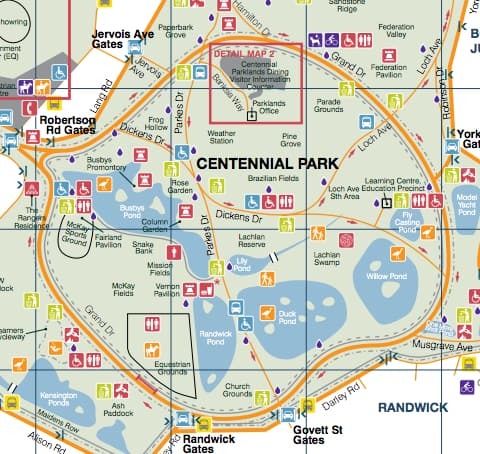 Here’s a description of the lovely walk right around Centennial Park in Sydney’s East. This is an excellent walk for babies in strollers and for their parents too. It’s scenic and simple and has plenty of places to stop and sit down, plus cafes! 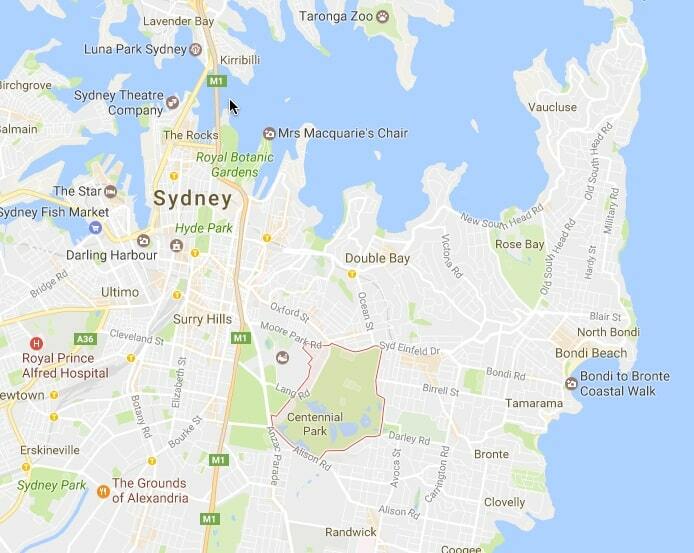 Map showing where Centennial park is in relation to Sydney as a whole. Centennial Park is a huge and lush mid-city oasis with lots to offer families. The Centennial Parklands website has heaps of info and you can even get a Centennial Parklands app for your phone. Find Centennial Park on Google Maps here. Grand Drive is the one-way circular road that encompasses the main body of the park. The road has a sealed walking track running alongside it. The walking track is wide enough for two strollers to go along together and still leave space for overtaking power walkers. Joggers and bicycles are not permitted on the walking track but are sometimes encountered. On the road itself there is a rollerblade and cycle track lane. There’s also a horse track alongside the walking track, kids love watching the horses. 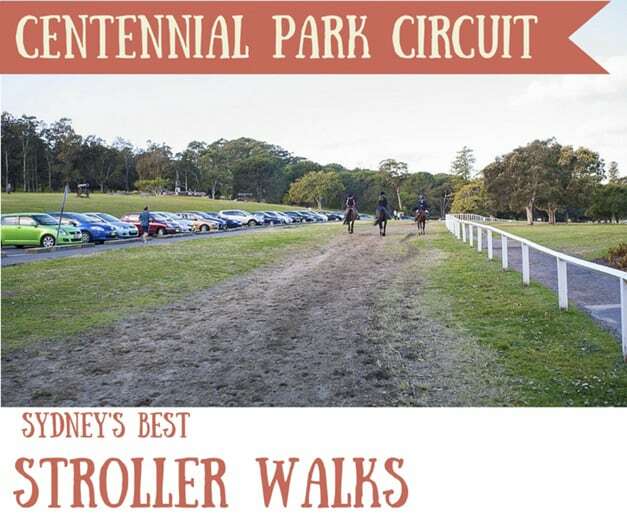 Lots of serious walkers use the track and some of Sydney’s most serious stroller pushers too. Whether you are the fittest power walker with the sleekest, colour-coordinated three-wheeler stroller, or a sweaty stumbler, desperately trying to perk up with a walk after yet another baby-wakeful night, fear not, this is the walk for you. There are usually some weird and wonderfully amusing sights in Centennial Park to cheer even the most exhausted mum, from rollerblading stroller-pushers to people whooshing along the cycleway on wheeled skis. Horses walk, trot but rarely gallop along their own track, a delight for young children. The Centennial Park Circuit is a good walk for a sunny day as almost the entire walking track is shaded by an avenue of leafy trees. There are opportunities galore for reclining upon verdant lawns in the shade of an exquisite tree. Maps and information leaflets can be obtained at the Park Administration Office and at the cafe. None of the ponds in the park is fenced, so young children must be watched with an eagle eye. Parking: Free parking spaces all along Grand Drive and Parkes Drive and other roads in park. Can be very busy at weekends. Standing with your back to the Centennial Park Cafe building, turn to the right. This means that the circuit is walked clockwise and in the same direction as the traffic. NB There is a terrific playground close to the cafe, excellent for pre- or post walk playing. There is no shade over this first stretch but it is not long and soon the deep, cool shade of the avenue of trees is reached. Sports pitches are soon passed and the pine grove just beyond them. On the other side of the road is the elegant Federation Pavilion. The walking track crosses over Loch Avenue and then passes the Model Boat Pond on the left. To the right is the small fly casting pond and beyond it the lovely Willow Pond. The track then crosses Dickens Drive and passes the two small islands of Willow Pond. The One More Shot Pond is just over the road on the left and then on the right there appears a row of stately palm trees and the simply but irresistibly named Duck Pond. The pond is a large one and has many quacking inhabitants. Walkers please note that the traditional but environmentally unfriendly pursuit of feeding bread to the ducks is not approved of in Centennial Park. Nonetheless, the verdant grass around the Duck Pond is particularly blessed with shady spots that beckon to all but the most serious of exercisers for a rest and recuperation stop. Just after the Duck Pond, the path crosses Parkes Drive and soon passes a paddock and showjumping area with its wafting equine aromas. On the other side of the road is a small wood, and at its end lie the excellent learner cycleway and playground. Kensington Ponds are on the far side of the cycleway. The greenhouse is a cafe right by the Learner Cycleway, should you require some refreshment. Continuing along, the McKay Sports Ground is on the right and even before Busby Pond appears, its noisy inhabitants can be heard. Busby Pond marks the beginning of the home straight, or rather the home curve, as the road and walking track loop past the pond and alongside the sweetly named Frog Hollow. 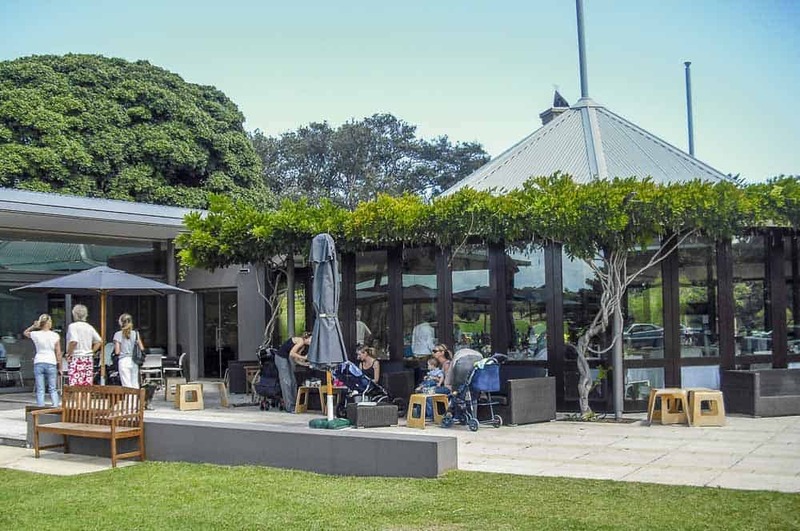 The roof of the Centennial Park Restaurant soon appears and it is just a swift push onwards to the Cafe for a refreshing cuppa. Centennial Park has lots of other pleasures for families. There is the playground and learner cycleway and Centennial Park Cafe. Check out the Centennial Parklands website for all the information you need. Did you know you can even stay in Centennial park, at the historic and delightful Residences. Horseriding facilities in Centennial Park: Moore Park Stables (9360 8747), Centennial Stables (9360 5650) and Eastside Riding Academy (9360 7521). To reduce the length of the circuit and increase the duck-spotting opportunities, take the walkway beside Parkes Drive which commences close to the cafe. The walkway goes all the way to the Duck Ponds seating area, after which strollers will need to be pushed along the grass or on the road. Where Parkes Drive rejoins Grand Drive, turn right and follow the walking track. Soon the Learner Cycleway and playground will appear on the other side of the road. Read my whole list of family-friendly Sydney walks here. Can you share your family’s favourite Sydney walk? Where’s the best place to walk with a stroller? It’s always great to find parks that are shady. There’s no excuse to get up and shape up! I should be there now, but battling injury… I should never have jumped out of that tree. When will I learn? Yes, a long long time ago Morag! I love this walk as it’s so flat!